Christopher Nolan's WWII epic 'Dunkirk' is moving everyone in tears, specially the veterans who survived the battle. According to The Independent, Ken Sturdy, a 97-year-old Welsh national who currently lives in Calgary, Canada, was seen at the city's Westhills Cinema sporting a jacket adorned with medals, where he watched the World War II drama accounting the events he lived through almost 80 years ago. The war veteran was moved to tears after watching the movie. 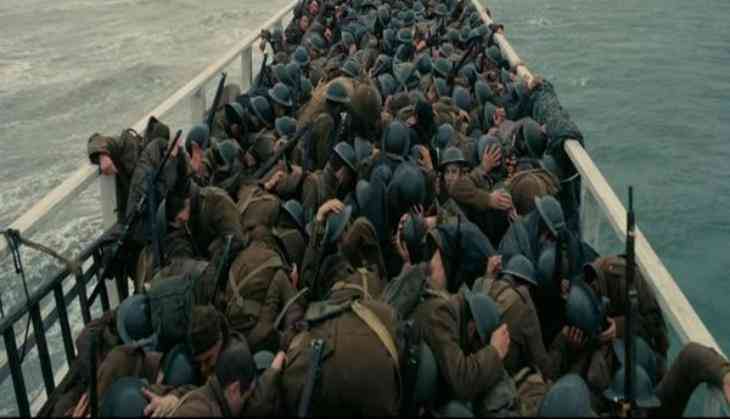 The film, which stars Tom Hardy, Cillian Murphy, Kenneth Branagh and Mark Rylance, tells of the historic nine-day battle which took place between Allied Forces and German troops, and charts the British military evacuation of the French region in 1940. After watching the movie, Sturdy said that he felt like he was there again. Adding, "I was in those little boats picking them out of the water. Watching the movie, I could see my old friends again and a lot of them died in the war. I went on convoys after that in the North Atlantic. I had lost so many of my buddies." He also said that people should not go for movies only for entertainment, but they should think about it too. Adding, "Tonight I cried because it's never the end. It won't happen. We the human species are so intelligent and we do such astonishing things. We can fly to the moon but we still do stupid things." It should be noted that, 'Dunkirk' has taken worldwide box office by storm as the movie earned over 105 million USD in its opening weekend and became the number one movie in the world.